How do you develop the right product for the future today? This is not an easy task, so many companies simply throw as many features as possible on to the product and hope for the best. This method is of course ineffective and not economically sound. Luckily, there is a better way. Innovative companies launch successful new products over and over by asking themselves (and their customers) some key questions. Does your innovation engine connect the right information to the right people? Does your R&D team know where the market is shifting? Do your sales reps know what technology you are working on, such that they can trigger the right questions to your customers? 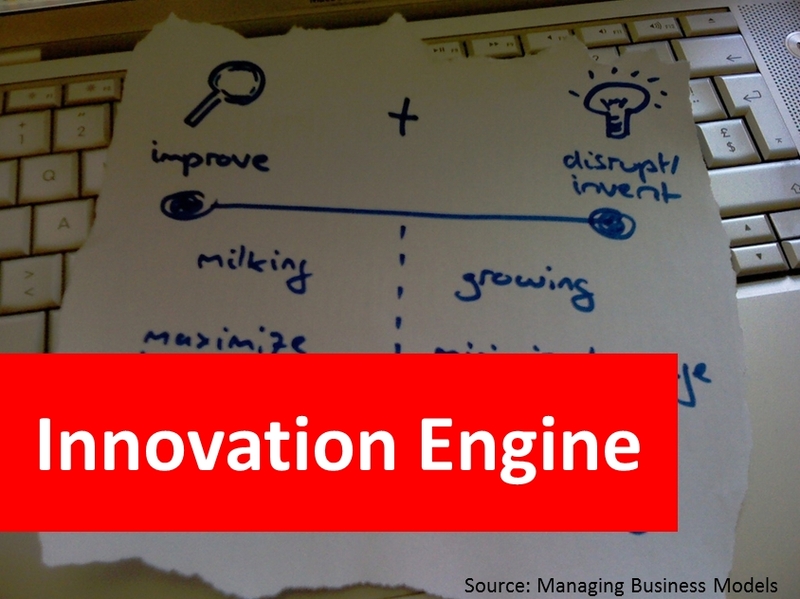 Does management know the top 6 innovation engine indicators to measure? Is communication two-way or one-way? Does your team exchange information (two-way!) constantly with you customers? Don’t just talk with your current customers. Talk to prospects, ex-customers and your more unusual customers. The unusual customers are usually the ones who have a feel for what’s next in your industry, so pay close to attention to what kind of product they say they want. Is your innovation team reflecting on the RRR? Reduce the number of projects or features and increase your bang for the buck from each one. Reuse project components. Usually much of the testing and validation is already done and proved to be compliant. Recycle, whenever you have the occasion. Throwing a new interface in the hands of a nurse in an emergency room is not always (never!) a good idea. Does your product solve a real customer problem? Start by identifying customer problems, then find innovative solutions to solve them. Make sure your solution presents a clear advantage compared to your competition. Don’t simply go with the first solution your team comes up with. Instead, analyze various ideas until you find one which works well and which can be implemented economically. While you are working on solving the problem, don’t forget to circle back periodically to check that the problem still exists and hasn’t been rendered irrelevant or been solved by another company. Did your innovation team prepare a comprehensive product roadmap? Roadmaps are not optional in an innovation strategy. A comprehensive roadmap will ensure you manage risk proactively and will demonstrate your company’s approach to future iterations and product development. Roadmaps are guides to keep everyone on track and in the loop, but they are not instruction manuals. It is sometimes necessary to deviate from the original plan or add extra steps. Only 25% of new products are commercially successful. In order to perform better, start by asking yourself and your team those five questions. Although these questions are straightforward, it does require time and effort to answer them properly. However, they will ultimately save you time and money and contribute toward the innovation of truly awesome products.